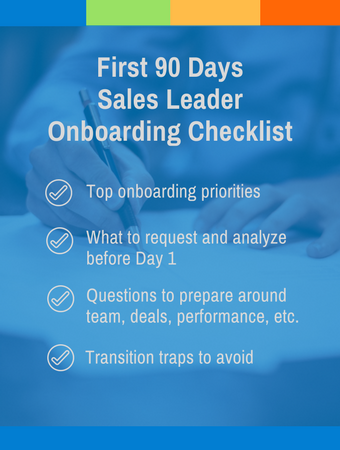 Download Our Sales Leader Onboarding Checklist. Fast track your impact as a sales leader with our Sales Leader Onboarding Checklist. Learn the data to collect, where to prioritize, and pitfalls to avoid in preparation for Day 1 of your new job.